Country Living has dedicated 8 pages to Sharpham Park this month. 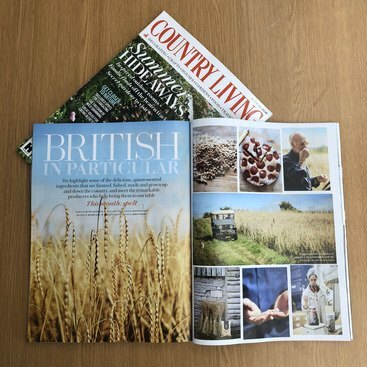 The feature delves into the origins of our spelt grain, photographs of the Sharpham Park mill in Somerset and how our fashion turned farmer founder made us the Champions of British spelt. Pick up a copy of the August 2018 edition to read the full article.